Our goal is to make a difference, one smile at a time. At Suncook Dental, we take time to discover which dental treatment will improve or maintain your quality of life, and then work to make it happen. Our desire is to help you live a full, healthy, and happy life, and have a lovely, healthy smile to go with it! Dr. Andrew Albee, Dr. Charles Albee, and Dr. Brittney Phillips are experienced doctors. They’re also warm and personable, and enjoy developing connections with their patient family. Along with their team, they’ve built a practice where you’ll always be treated with the high-quality, compassionate care they provide their own family. 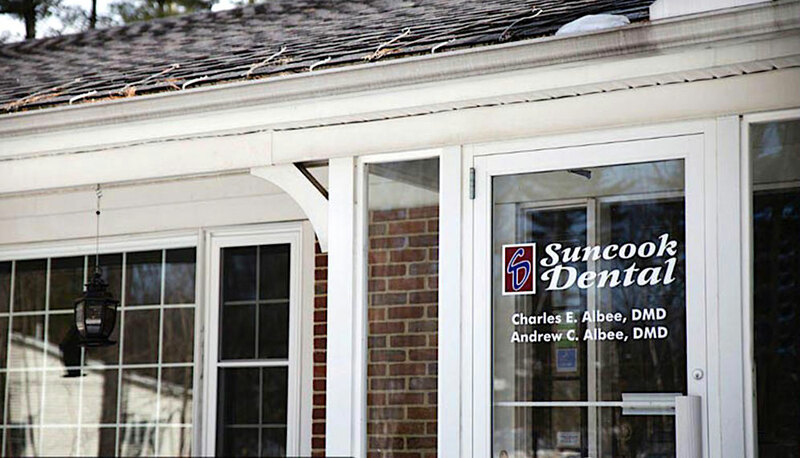 Suncook Dental is known for patient-centered care. We offer leading-edge dentistry that’s tailored to each person’s specific goals and needs. Please contact our Suncook, NH family-friendly dental office to learn more and to schedule a complimentary consultation today. Our doctors and team look forward to welcoming you to our dental family. We’d be honored to help you achieve and maintain optimal oral health — for a fuller, happier, more smile-filled life. Call today!